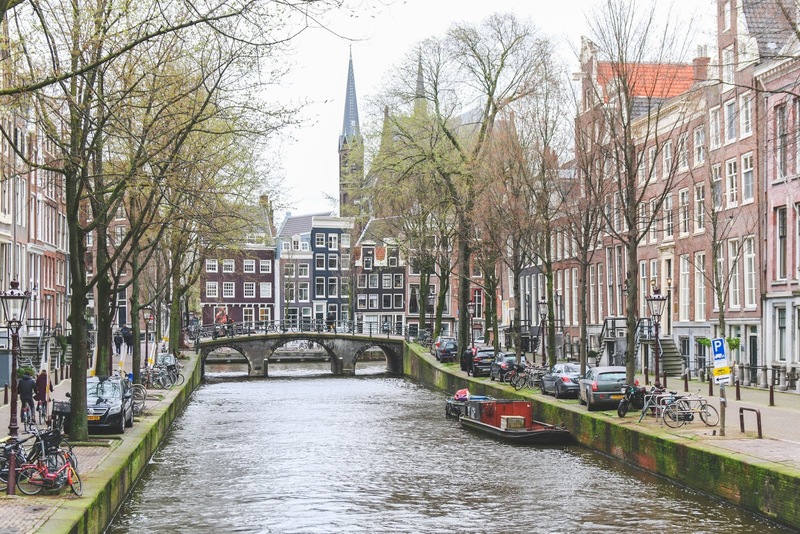 While in Amsterdam, I got to spend some "me time" wandering the charming canals of the Jordaan. I haven't had a solo trip in quite some time, but since I'm a go-go-go type of traveler and the rest of the family aren't fans of getting 30,000 steps on a daily basis, I usually get to spend a couple of hours by myself exploring. 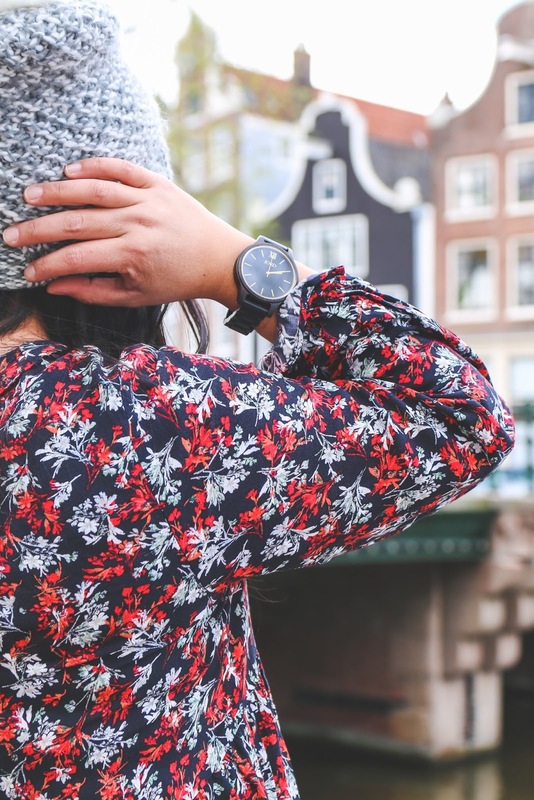 Amsterdam is the perfect city to just wander. 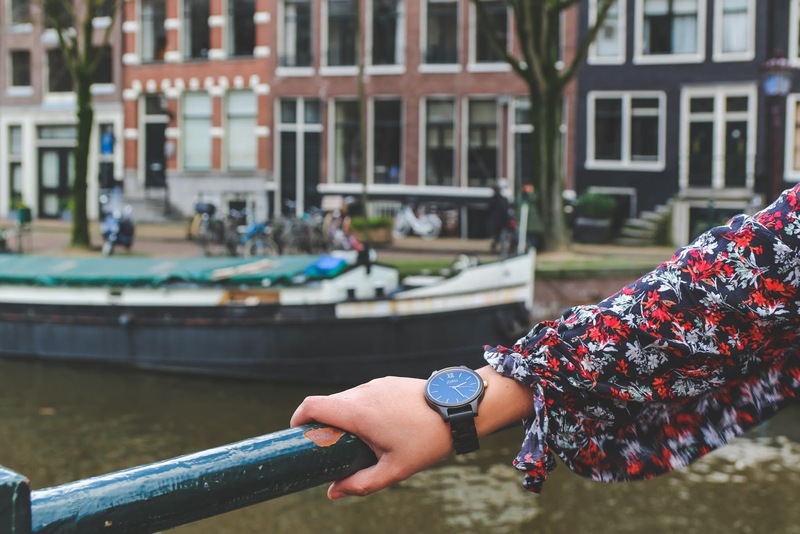 Unlike Venice where getting lost is unavoidable but also a must, Amsterdam's canals act as guides. At first glance, all the canals look very similar but each intersection has its uniqueness. 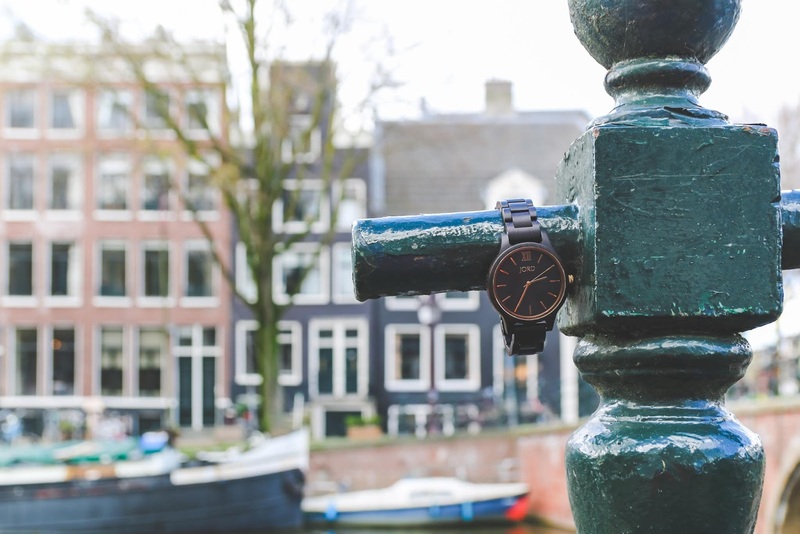 After spending a couple of days in the capital of the Netherlands, I began to recognize my way around and my JORD wood watch made sure I didn't leave Lyndon and Aiden alone for too long. When JORD reached out to me, the timing couldn't have been more perfect. I was about to leave for Europe, and I needed a watch to make sure we made all our trains, restaurant reservations, and tours on time. I checked out JORD's website and immediately fell in love with their Frankie model in ebony and gold. 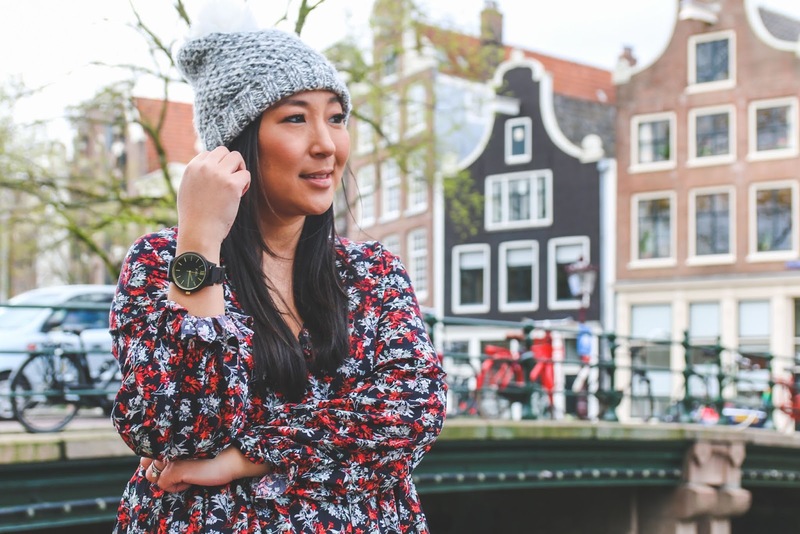 Fun fact about me, I'm a sucker for black and gold, and I knew it would be the perfect watch to go with all my travel outfits. Compared to other wood watches on the market, JORD just has more timeless pieces in their collection. While I love to stay on trend, I love classic pieces that will never go out of style like my Frankie model from JORD. You can add your personality through all the different wood finishes and different color dials JORD offers, but you won't have to sacrifice style. Not only does JORD have a wide selection of wood watches for men and women, but they also just released their line of Apple watch bands in wood and leather. It's a great way to make your smart watch stand out in the crowd. I'm happy to announce that I'm partnering with JORD Wood Watches to do a $100 giveaway! Everyone that enters the giveaway will receive a 10% off coupon at the end of the campaign, and one lucky winner will win $100 to shop the JORD collection! Mother's Day and Father's Day are both around the corner... and these beautiful watches would make an amazing gift! ENTER HERE for a chance to win $100 towards any JORD time piece of your choice! Giveaway ends May 6, 2019. Good luck! I am linking up with these link ups and blog hops!